Happy spring everyone! 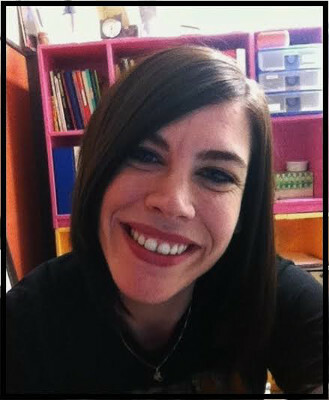 My name is Liz and I’ve been an instructor at the Purple Cat since 2008. Having worked in several areas of our day program over the years, I have had the honor of meeting some of the most unique, heart-warming, and brilliant people! While providing a variety of exciting educational and vocational opportunities and services to our clients, I’ve formed lasting friendships … friendships that have been more than inspirational and fulfilling. My experiences here have given me an entirely different outlook on life; a view that emphasizes the importance of patience and demonstrates the rewards of compassion. I’ve learned to appreciate the small things, and to be grateful for what is- rather than getting upset over what isn’t. I love my time with here with my friends, and I couldn’t ask for a better or more welcoming environment to spend my days. Just like the old saying goes: “Choose a job that you love and you’ll never have to work a day in your life” – Confucius. May is an exciting month for the Purple Cat! As you all may know, some of our hardest workers are headed out to our newest program site- “Joe Gallagher’s Lunch Bucket”- at the Oak Hill Renaissance Center, this Monday, April 28th. Once all is up and running, our staff and clients will soon be cooking it up for the workers of Oak Hill- giving them the opportunity to order lunch, and to enjoy it in a cafeteria designed with our own unique ‘purple cat’ touch! Everyone’s sweet tooth can be doctored with an ever famous Slush Puppie from Touch the Moon Candy Saloon! Recently opened at Oak Hill, this candy store is a partner to it’s original, located on Phelps Street in the downtown area. Here you can take a mental stroll back in time with all your retro faves in candies and throwback snacks! This new program is a work in progress. Well wishes to our Oak Hill purple catters! We will be keeping you posted on progress made at ‘Joe Gallagher’s Lunch Bucket’, as well as at our other day program sites on a monthly calendar on our website. A different client and staff member will be in the spotlight each month, and a printable version of our monthly calendar for the day program and Golden String activities can also be found. Additional photos and info can be found on our Facebook pages: Isle’s Purple Cat and Purple Cat Productions… And don’t forget to tune in to always goldenstringradio.org!